Washington (CNN) – At least seven members of Newt Gingrich's senior campaign staff resigned Thursday, sources told CNN, but the Republican presidential candidate pledged he would start his campaign "anew." In addition, one of his national campaign co-chairs defected Thursday to former Minnesota Governor Tim Pawlenty's presidential campaign, according to a Pawlenty campaign release. Former Gov. Sonny Perdue of Gingrich's home state of Georgia moved over to the competing campaign. The staff resignations included his campaign manager Rob Johnson and long-time Gingrich spokesman Rick Tyler. Also departing are Gingrich strategists Dave Carney and Sam Dawson. Consultants Katon Dawson, who is based in South Carolina, Craig Schoenfeld, who is based in Iowa, and Scott Rials, who is based in Georgia, have left as well as six staff members in Iowa and Perdue. Gingrich held a meeting Thursday with Johnson and Dawson to discuss disagreements between the candidate and his staff. Tyler said the discussion was about "Newt as a candidate and control of the campaign and scheduling." The aides resigned when an agreement was not reached, but Tyler said aides are "always hopeful for a mutually agreeable path forward." But when a campaign and a candidate do not see eye to eye "they've got to part ways," Tyler told CNN. "The professional team came to the realization that the direction of the campaign they sought and Newt's vision for the campaign were incompatible," Carney told CNN. Gingrich responded to the events on his Facebook page Thursday. "I am committed to running the substantive, solutions-oriented campaign I set out to run earlier this spring. 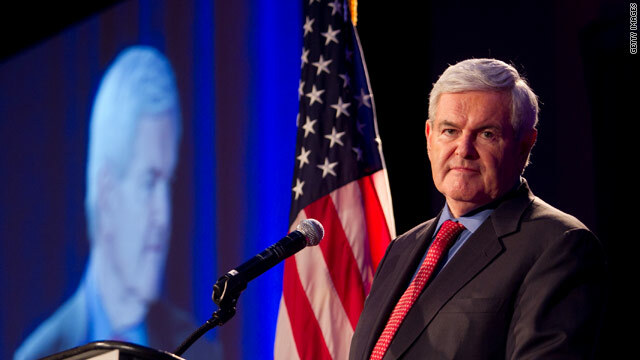 The campaign begins anew Sunday in Los Angeles," Gingrich wrote. An aide told CNN that "Newt will participate in Monday's debate in New Hampshire as originally planned." CNN, WMUR and the New Hampshire Union Leader are sponsoring a GOP presidential debate Monday in Manchester. Gingrich was absent from the campaign trail for about two weeks recently because of a "planned vacation" with his wife, Callista. He returned with a campaign stop Wednesday in Hudson, New Hampshire. Tyler said the "vacation was not helpful." And Craig Schoenfeld, former Iowa Executive Director for Newt 2012, who confirmed all six of Gingrich's paid staff members in Iowa resigned, said "the timing was unfortunate but it's not directly related to his vacation." They already had the sense before the vacation that Gingrich wasn't committed to spending the time in Iowa that it takes to win. "Bottom line is there was a difference of opinion in how we saw a path to success and victory," Schoenfeld said. The difference of opinion centered on "commitment of securing and deploying campaign resources and commitment of candidate time to the campaign trail." "I knew what it was going to take to be successful in Iowa, the New Hampshire team knew what it was going to take to be successful in New Hampshire, the South Carolina team knew what it was going to take to be successful in South Carolina," Schoenfeld said. "As a team we were all in unison on that approach," but the candidate they were working for was not. His decision was made after a series of meetings between the national staff about where, what, who, when and how to approach the rest of the campaign. Schoenfeld was not a part of those meetings, but the message was conveyed to the state directors after those meetings that the candidate had a different type of campaign in mind. Schoenfeld said he has not been approached by any other campaign, and as far as he knows none of his staff has either. When Newt's national campaign staff told him about their strategic differences with the candidate, they did not ask him to sign on with another candidate instead. One of the Gingrich staffers who resigned said it wasn't a personal issue, but there was a big question about his ability to raise money and the candidate's commitment to early voting states particularly Iowa. "There is a shortage of money," the staffer said. "It is a tough day and a tough world out here in the fundraising and political arena." The source, who spoke on the condition of anonymity, said that Gingrich didn't make the "time to go and shake hands with voters." The departures of Johnson and Carney are already fueling speculation about a potential candidacy by Texas Gov. Rick Perry. Perry recently said he plans to consider a Republican presidential bid after the Texas legislative session concludes, and both Carney and Johnson are two of the governor's top political advisers. Their resignation from the Gingrich campaign would free them up to assist Perry if he decides to run. Despite the 2012 chatter, Perry's office insists that the governor has no current plans to run for president. Perdue, who joined Team Pawlenty Thursday, is very close to Pawlenty's campaign manager, Nick Ayers, who ran Perdue's gubernatorial campaign. "Tim Pawlenty is a great man, he was a phenomenal governor, and he is the person I now believe stands the greatest chance of defeating President Obama," Perdue said in a statement. "He is the only candidate who has laid out a real plan to grow the American economy, and his track record in Minnesota is proof he's the right man for the job." The former House Speaker announced his bid for the 2012 Republican presidential nomination on May 11. He is best known for engineering the Contract with America and leading the Republicans' surge to power in Congress in 1994 but his reputation took a hit in 1995, when a budget standoff in the House led to a temporary shutdown of parts of the federal government. Republicans didn't fare well in the 1998 elections, and Gingrich stepped down. - CNN's Mark Preston, Peter Hamby, John King, Kevin Bohn and Adam Aigner-Treworgy contributed to this report. Resigned? He fired those guys - for his own screw-up. He made a completely stupid statement about the Ryan plan, tried to walk it back, and then said on national television that any ads quoting him for "falsehoods". How about thinking before you speak first, pal.